The Occupational Safety and Health Administration (OSHA) is tasked with preventing injuries to workers. Unfortunately, as our recent blog on preventing fatal workplace accidents discussed, OSHA is understaffed and is not able to effectively regulate many worksites throughout Atlanta. OSHA has too few agents to inspect every workplace and identify violations, but the agency will respond to reports of injuries or fatalities. After a worker is hurt on the job, OSHA can investigate what went wrong and may issue citations or even help to facilitate the criminal prosecution of employers for willful violations of safety rules. OSHA is alerted to problems that require investigation when employers report injuries. The rules will be changing soon regarding when reports must be made to OSHA, and broader reporting requirements could help to make workplaces safer. When victims are injured in work accidents, they have the legal right to workers' comp benefits. An Atlanta work injury lawyer should be consulted for help ensuring that employers take the necessary steps to provide the benefits necessary after an on-the-job accident. Employers are required to notify OSHA of a workplace fatality within eight hours of the worker's death. 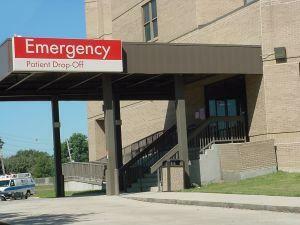 Employers are required to notify OSHA when one or more workers is hospitalized. Notification is required within 24 hours. Employers are required to notify OSHA when a worker experiences an amputation or loses an eye. Notification is required within 24 hours. These rules shorten the time for reporting fatalities, and also mandate reporting in more situations. Under the current rules, for example, employers do not necessarily have to report to OSHA when a worker experienced an amputation or the loss of an eye. Employers are also required to report only when three or more workers are hospitalized under the current rules. After January, however, if just one worker suffers an injury severe enough for hospitalization, OSHA must be alerted. The Assistant Secretary of Labor for OSHA believes the change to the reporting rules is a positive step forward because it will make the agency better able to "identify the workplaces where workers are at the greatest risk and target our compliance assistance and enforcement resources accordingly. When a report triggers an OSHA investigation, the employer will be cited for safety violations that are found that may have led to the injury. Regardless of whether OSHA investigates or whether safety violations did play a contributing role in the on-the-job accident, employees are still entitled to workers compensation benefits. An Atlanta workers' comp lawyer can help.